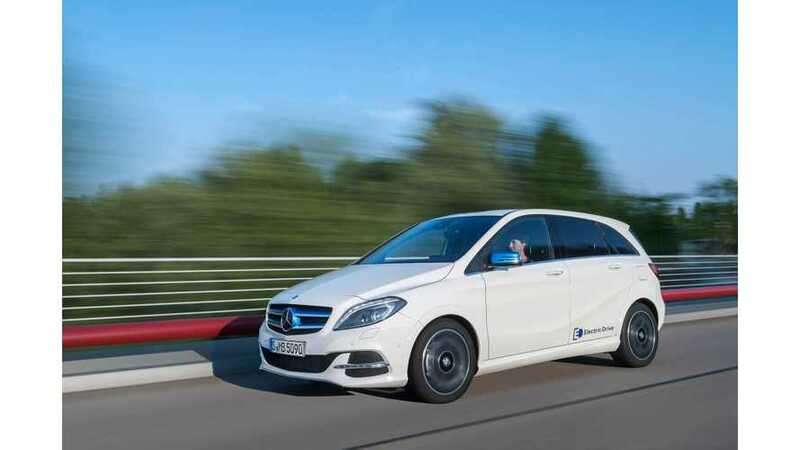 Just like with the Mercedes-Benz S 500 Plug-In Hybrid, Daimler ordered an environmental certification of the Mercedes-Benz B-Class Electric Drive to TÜV Süd. This time, the CO2 emissions test shows that the B-Class ED is 64% lower compared to the B 180 petrol model (over 160,000 km or almost 100,000 miles), while using hydroelectricity or 24% under the EU's electricity mix. Results include production, service and recycling of the cars. Full report indicates that renewable sources of energy are key for minimizing environmental impact and that the energy mix in some countries will not enable the reduction of pollution by switching to electric cars. "Mercedes-Benz analyses the environmental compatibility of its models throughout their entire life cycle – from production, through their long years of service, to recycling at the end of their lives. This analysis goes far beyond the legal requirements. The Environmental Certificate and supplementary information are made available to the public as part of the "Life Cycle" documentation series, which can be accessed at http://www.mercedes-benz.com. 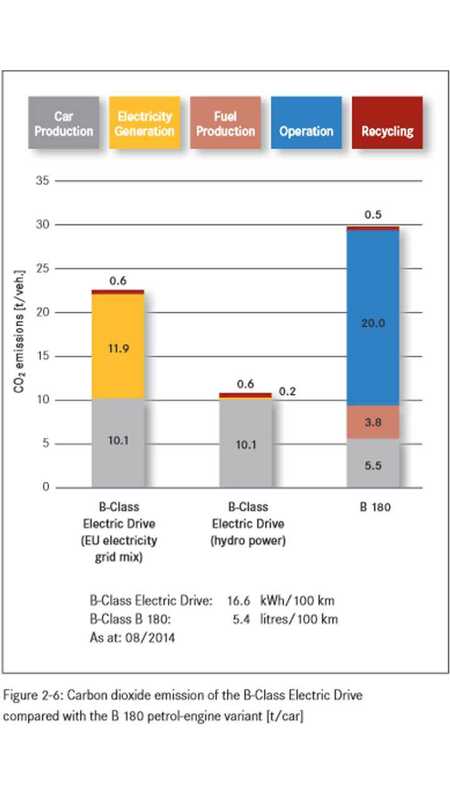 Over its entire life cycle, comprising production, use over 160,000 kilometres and recycling, the B-Class Electric Drive produces emissions of CO2 that are 24 percent (7.2 tonnes – EU electricity mix) or 64 percent (19 tonnes – hydroelectricity) lower than those of the B 180 - despite the higher emissions generated during the production process. This is due primarily to the exceptional efficiency of the electric motor, which gives rise to significant advantages during the use phase. One key factor here is its ingenious energy management system: the optional radar-based regenerative braking system, for example, ensures the optimal recuperation of braking energy back into the battery. This further enhances the efficiency of the drive system and enables even greater ranges. CO2 emissions during the use phase here depend upon the method used to generate electricity. In 160,000 kilometres of driving use, the new B-Class Electric Drive (NEDC combined consumption from 16.6 kWh/100 km) produces 11.9 tonnes of CO2, assuming use of the EU electricity mix. When electricity generated by hydroelectric means is used to power the electric vehicle, the other environmental impacts relating to electricity generation are also almost entirely avoided. The B 180 (NEDC combined consumption 5.4 l/100 km) on the other hand emits 23.8 tonnes of CO2 during the use phase."